As a proudly appointed Argyle Pink Diamond Select Atelier, we were recently invited to a rare and exclusive visit to the Argyle Diamond Mine. With fellow industry colleagues and authorised partners, we ventured to the remote corner of Western Australian, over 3,000 kilometres from Perth, where exists one of the world’s last great wilderness regions and the extraordinary birthplace of Argyle pink diamonds. The site visit entailed an underground tour of the Argyle diamond mine, a moving Welcome to Country ceremony on arrival, and an in-depth overview and tour of the site operations. It is a land without comparison, with red rocky landscapes, ancient gorges, expansive waterways, and astonishing native flora and fauna. It is here, in this hauntingly remote vista, where the billion year odyssey of an Argyle pink diamond begins. 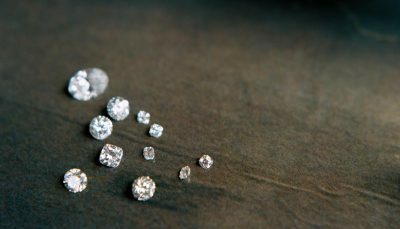 The discovery of diamonds in the dry creek beds in this vastly remote part of the world did not occur until the 1980s, and to this day remains one of the world’s most important diamond discoveries in history. It would result in the establishment of the Argyle Diamond Mine; change the diamond industry forever; and would bring the most coveted of all diamonds to the world – the rare Argyle pink diamond. From the moment a rough Argyle pink diamond is unearthed until the time it is offered for purchase as a polished stone, the remarkable collectable is upheld by professional vigilance and dedicated care. Rohan Jewellery is one of just 30 Argyle Pink Diamonds Select Ateliers worldwide, counted on as the most trusted jewellers in the industry, relied on for unerring quality, integrity, and spectacular creativity. Most importantly, we share a passion for perfection that is the quest for the absolute. As the final guardians of the world’s rarest diamonds, we hold the important responsibility of preserving the legacy of these historical gems, creating iconic jewels, signature designs and heirlooms to be treasured for generations to come. With the end of mine life approaching, these gems are set to become rarer still. Admired as the most concentrated form of wealth on earth – if you are interested in viewing our collection of pink diamonds, or securing a stone, please contact us to make an appointment with Rohan. View our Argyle Pink diamond jewellery.